Why Does Your Phone Signal Fluctuate Standing Still? The influx of smartphones and tablets accessing video and pictures has increased the amount of data flowing across cell phone networks. Cell phone towers can only hold so many more concurrent phone calls or users accessing video or data. Cell towers can typically handle up to 500 simultaneous voice users at once while drastically less and only about 50 data users. Once this capacity has been reached, the cell tower rejects the calls or data connection which end up dropping those calls. You may even see full bars on your phone which is a good indicator of network congestion. This is why its usually impossible to get good data access inside stadiums during games with thousands of people clogging the network. This theory of network data congestion holds true with too many people accessing data on the same cell tower. Everyone is competing for the same access on the cell phone tower and the tower only has so many capacity. The more people accessing data on a cell tower, the weaker the signal. You might notice the strength of your cell signal in a certain area change depending upon the time of day because of rush hour or you are near a heavily populated area. The number of simultaneous callers on a single tower was the primary cause for dropped calls years ago. However, smartphones and their ability to view and stream data can put considerable strain on a tower data and voice backhaul. All these factors cause the cell tower cell signal strength to constantly change or breath. This is one of the main reasons why many Verizon customers have suddenly started experiencing lack coverage in areas that they previous had 3, 4 or 5 bars of signal strength. Coverage is not guaranteed and coverage maps don't really mean much these days. Its up to you to submit your coverage complaints to our map where you experience frequent poor coverage. Deadcellzones.com seems to be the only service that is trying hold carriers accountable for coverage the promise in areas. Does MetroPCS Have Coverage in Alaska? If they do can someone tell us in what cities? If they don't can someone tell us if they have roaming agreements and on which carriers? There can be many reasons behind network connectivity troubleshooting issues. It can be hardware failure, router failure, interruption because of other electronic devices and internet service provider’s planned outages. Before starting the troubleshooting, we should scan our PC with anti-virus to check if it is free from malware and viruses. After running antivirus scan, we should delete cookies and temporary files from our computer, as they may be the reason behind our computer’s slow performance. We should also call up our internet service provider and ask if there is any problem with their service or any kind of planned outage in our area. This is the simplest step which can solve the network connectivity problem without putting much time and efforts. All you have to do is shut down the modem from the main switch, and start it back after two minutes. In case of hardware or modem failure, we won’t be able to see any indicator on the modem. Network trouble shooting should always begin with opening the computer’s task manager. After opening the task manager, just select networking. Networking section will show if the internet connection is active or not. If the connection is not active, we should check the modem or wireless dongle’s indicator. Network connectivity issues can also occur if network services settings are incorrect. One should check service settings, logon settings and adopter settings if we are not able to get connected to the network even if the network signals are strong. Network settings will automatically change whenever we reinstall our computer’s operating systems or device drivers. After reinstalling the operating system or device drivers, we should check if the version of our ISP’s device driver is compatible with our new operating system or not. We will have to download a compatible version in case if the old one is not compatible. Browser and other applications on your computer will not work if the ISPs signal strength is very low. Our computer’s task manager can show us our internet service provider’s signal strength. Number of factors around our computer can reduce the network’s signal strength. Devices like Microwave, radio, mobile phone and other electrical devices should be kept at least 1m away from our computer as they can interfere with internet service provider’s signals and reduce the signal strength. Signal strength can also reduce in case of too much load on the internet service provider’s network. There is nothing much that we can do in this situation, except for calling our ISP to log a complaint. If we are putting incorrect user name or password in the network settings, we will get an error which says “authentication failure”. In this case we should try to reset our password or just call the internet service provider’s customer service number. A proper, consistent and logical approach is necessary for troubleshooting network connectivity issues. Hitting your PC will not help. There is no need to be tech savvy to understand some basic connectivity issues. Above tips can help you to solve basic issues all by yourself. About the author: Kelly Marsh is a blogger by profession. She loves writing on technology, health and parenting. Beside this she is fond of computer technology. She also likes reading various articles on diy health & gizmo watch. The commonly used computational devices are the PC, iPad and the Mac. As with all modern gadgets, there can be problems overtime. Here are some tips and tricks to solve the most common problems associated with these devices. The iPad is a hand-held, touch sensitive device to meet your everyday computational and recreational needs. With the advent of the iPad, a new industry relating to designing applications for this device has flourished and the Apple app store is filled with thousands of applications to choose from. This also leads to numerous conflicts; with the turn-around time in application development being small, testing of apps is not always adequate and this often causes problems. The most common reason for iPad becoming unresponsive is due to runaway’s application. (1) To solve you hold the sleep/wake button until the slider appears then instead on swiping the slider, press the home button this should resolve problem. (2) If step 1 does not work the device should be switched on and off, this is done by holding the sleep/wake button and swiping the red slider to switch off the device and then put it on. (3) If the both steps 1 and 2 fail, then pressing the sleep/wake button along with the home for ten seconds. (4) If all else fails, the system can be restored using iTunes. Plug in the USB cord to the computer with iTunes installed, then hold on to the home button while connecting it to the USB to the iPad, allow the iPad to charge for 10 min and then continue to hold the home button. This will pop up an icon saying "connect to iTunes", now fire up iTunes and the "recovery mode" alert should pop up. This is also a common problem with the iPad, and some applications may act adversely with your system. You could try reinstalling the app and see if this solves the problem, some apps get corrupted and they, at times need to be reinstalled. Do remember that once an app is downloaded from the app store you can reinstall it any number of times and on multiple systems. The iPad enables multi-tasking by default and many apps try to take advantage of this feature. Many apps, even after closing remain active. Closing these apps that are not in active use can often hasten up the system. (1) Press the home button twice in quick succession, a task list window opens up and shows the list of running applications. Select the application that needs to be shut and hold it down until is starts wiggling and a tiny red minus sign in the middle appears, tap on this minus sign to completely close the app. By closing apps you should be able to speed up the iPad. The Macintosh systems introduced by Apple computer Inc. is a user-friendly and reliable computing device available in the market. The mac system is a carefully crafted with the uber-reliable operating system (Mac OSX). Is the system slow or crashing? The mac systems do not automatically reboot themselves but can get slow at times. If you have recently installed or un-installed a software in your mac then you have a prospective culprit for causing system slowdown. (1) The first test is to reboot the system to see if it improves the speed, if not you will have to boot the computer with extensions turned off. (2) Turning with extensions off can be done by holding the "shift" key down till the machine completely boots up. If this resolves your problem then you have an extension conflict or items causing problems during start-up. You can then take a closer look at the start-up items and remove the intrusive ones. Are you getting weird disk related errors? (1) The other common problem could be with the corruption of the directory structure. You can solve this by popping in the install CD, and repair with the disk-utility manager available. If the CD is not available, hold down the "Command-S" keys during start-up this should take you to the single-user mode and will open up the "text-prompt" window. When the prompt appears type "fsck -fy" and this will automatically repair all disk conflicts and then type "reboot" to restart the system. (3) The other common error is the disk permission error, this also indicates that there were some problems related with the hard disk and the data was locked down to prevent damage. This can later be unlocked by running the disk-repair utility. This can be brought up by typing "Disk Utility" in spotlight. (4) If you are using Mac OSX leopard and above, try using the time-machine. All you need is a spare external hard-drive, the hard drive needs to be plugged in and time machine makes a copy of your system into the disk. This can be used to restore the system at a later point. This is the most ubiquitous computing systems and these have their fair share of problems. (1) Start the computer using the "safe mode", this can be done by starting the computer and holding the "F8" button on the keyboard. (2) Go to the control panel use "Add and remove Programs" and click on the recently installed software and uninstall it. The hardware-software issue is generally related to driver incompatibility and corrupted drivers. (1) Again get in through the safe mode and locate the "my computer" and right click on the icon followed by "manage" and "event viewer". There are three tabs look at all three tabs, those checked in yellow are bad but red is worse. Just beneath, there should be a "click for more details", this will take you to the Microsoft site and this should give you an answer. The PC may, at times automatically reboot itself. There are several reasons why this could happen. (1) CPU heating is the primary cause: A CPU could overheat due to several reasons, a program heavy on graphics could trigger this, in which case, the CPU takes all the processing pressure and over-clocks and results in a reboot. This happens when there is no dedicated graphics card installed in the system. This can be checked by clicking the "Control Panel" followed by "System and Security" and then "System". Click on the "Advanced System Settings", this should pop-up a window called "System Properties", click on the "Hardware" tab followed by "Device Manager" and look for "Display adapters". As in the image shown if there are no dedicated graphics cards installed, this could be the problem. (2) Another reason could be that the fan inside the computer is either malfunctioning or clogged up with dust. A simple cleaning should do the trick in this case. (3) A badly aligned heat-sink or to do with the melting of the thermal-paste could also be a cause of constant rebooting, in which case it is best you take professional help. (4) A problem with RAM could also be the issue, the RAM can at times go badly and this can result either in a system slowdown, a blue screen or sometimes a reboot (when computing is shifted to a segment in the RAM that is corrupted). You could use the Windows memory diagnostics to test for RAM related issue. This can be solved by replacing the RAM, and there is no loss of data or any other concerns. The Windows Memory Diagnostics can be activated by typing "mem" at the start-up and following the instructions given on the screen from there-on. (5) Rebooting could also be due to the hard-disk, this is one of the more common problems. The hard disk is a component in the computer that stores data, both the user's as well as the system's data. Overtime, the hard disk can develop bad-sectors, the information stored in these sectors are lost. If this data happens to be a vital system related data, then the system can crash leading to a reboot, or a screen freeze. If a hard-disk is failing it can sometimes give out small clicking sounds (do not confuse this with the spinning sound), and this indicates that the hard-disk needs changing. Windows 7 also gives an alert when the HDD status is critical. The hard disk error can also be checked by right-clicking on the HDD and selecting the 'tools' tab followed by 'check now'. This will automatically check for disk errors. PC, Mac and iPad are three popular devices, commonly used by people. The most common problems associated with the PC, are software related and at times due to software-hardware conflicts. In the Mac systems, the problems are start-up related or disk related, while in the case of iPad the problems are associated with unresponsive touch screen and the iPad running slow. About the author: Kelly is a blogger by profession. She loves writing on technology and luxury. Beside this she is fond of technology. Recently an article on cellphone beat attracted her attention. These days she is busy in writing an article on style guru. T-Mobile LTE 4G in 2013? With AT&T’s failed attempt to acquire T-Mobile USA for $39 billion still fresh on everyone’s minds, Deutsche Telekom CEO Rene Obermann told investors in a prepared statement that the future of its U.S.-based operations will likely not include a sale. There have already been a number of rumors circulating about a potential partnership with rivals, including MetroPCS and Sprint Nextel. Spectrum T-Mobile received from AT&T as part of that merger collapse has put its U.S. operations in a stronger position to move forward with LTE network plans. T-Mobile's LTE rollout is expected to cost the carrier around $4 billion. There has been no word from the carrier on where it might get the additional funds, nor if those funds would come from parent company Deutsche Telekom, which pocketed $3 billion in break-up fees from AT&T. T-Mobile announced a similar network upgrade plan last year just prior to AT&T’s acquisition bid. T-Mobile plans to install new equipment at 37,000 cell sites and re-farm spectrum in the 1.9 GHz band currently used for its GSM-based services to launch HSPA+ services, which would then allow for the re-farming of its 1.7/2.1 GHz spectrum currently used for HSPA+ services to bolster the spectrum gleaned from the merger break up to launch LTE in the 1.7/2.1 GHz band. T-Mobile LTE spectrum still needs to move through regulatory approval but should allow the carrier to be a better match for offering Apple’s iPhone device, which in its current form taps the 1.9 GHz band for HSPA access. However, T-Mobile USA currently has about 7,000 towers, which would put it at about No. 5 in domestic tower ownership. The carrier owns strategic assets in California and the Northeast corridor, two regions of the country where it is often difficult to build towers. T-Mobile USA counts nearly 700 towers in the San Francisco Bay area, close to 2,000 in Southern California and close to 700 in the Northeast region of the country. Reports of T-Mobile USA’s interest in selling its tower assets have been circling the mobile industry for years, though the carrier’s recent announcement that it would be spending $4 billion upgrading its network to LTE seems to have placed further emphasis on that sale. Facebook now boasts more than 901 million users worldwide which is up 33% from 680 million a year ago. 50% of users (488 million) now access Facebook via mobile device each month but Facebook doesn't seem to be monetizing this traffic yet. The Facebook iPad application still needs a bit of work in my opinion as many view photos and status updates on applications like Flipboard. Facebook's user interface is complicated for many users and simplification will be key for mobile engagement. Facebook will likely look to mobile advertising as a major future source of revenue source. It has promised significant investments in its mobile platform during its IPO road show. “Mobile is a key area of growth for Facebook,” said COO Sheryl Sandberg. Sandberg cited examples including Sponsored Stories posts from friends or Facebook Pages that a business, organization or individual has paid to highlight which are now directly inserted into users' mobile News Feeds. Sponsored Stories enable advertisers to get distribution of stories directly into user content. 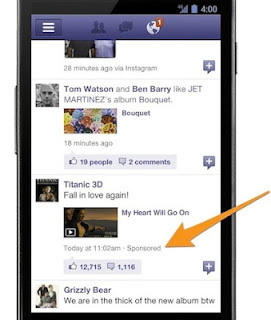 Only a small fraction of Facebook's impressions are Sponsored Stories, which gives mobile a lot of room to grow. Facebook plans to invest heavily in mobile, even if its moves have a negative impact on the company's operating margins. Last month, Facebook purchased photo-sharing application Instagram for $1 billion, its largest acquisition to date. Days later, Facebook snapped up Tagtile, which supplies mobile loyalty and customer management solutions targeting the local business segment. Facebook sold 421.2 million shares in an IPO at $38 each to raise $16 billion, valuing the social network at $104.2 billion. The stock traded down 10% to $33 the week following. Will Facebook need to acquire other mobile companies in order to gain share in mobile? Will these ads be based on location? Will they pay off for advertisers? Which Cable Companies Share WiFi Hotspots? A group of major U.S. cable companies have joined forces to offer a new Wi-Fi network that will allow each other's high-speed Internet customers to use their Wi-Fi networks across the country. A group of 5 cable providers announced plans to partner on the deployment of 50,000 “metro Wi-Fi” hot spots under the “CableWiFi” brand. The service will allow customers of Bright House Networks, Cablevision, Comcast, Cox Communications and Time Warner Cable to access the Wi-Fi networks when roaming outside of their home cable provider’s footprint. The cable providers' partnership is similar to how cell phone carriers allow their customers to roam on other networks when traveling. That's intentional: The cable companies say they are looking to compete with mobile carriers' new 4G networks that make broadband-like speeds available everywhere. For years a number of cities throughout the U.S. have floated the idea of vast Wi-Fi zones offering free Internet access, but the results have been spotty at best, often hindered by complicated business issues and even political considerations. The roaming partnership comes as the cable industry is seeking to differentiate its offerings from rival phone and satellite companies—and when the entire pay-TV industry is trying to keep up with consumers watching greater amounts of video on mobile devices. A similar roaming agreement was announced in 2010 by Comcast, Cablevision and Time Warner Cable but it has had limited impact. The hot spots appeared on customer's devices under the separate brands of Cablevision's Optimum, Time Warner Cable's Road Runner and Comcast's Xfinity. The service wasn't fully built out in some of the denser areas—like Manhattan—and some customers reported difficulty signing on and getting decent Internet speeds. Cablevision's hot spots have been around since 2008, but only 30% of its broadband customers have used it. Cablevision said that about 250,000 of customers use its Wi-Fi every day. The bulk of the hotspots are currently located in New York City and the surrounding tri-state area. 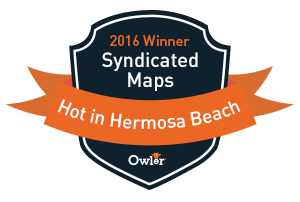 A handful of other markets, including Los Angeles, Orlando, Philadelphia, and Tampa are also included from the onset. The cable companies expect to add more coverage and availability over time. Cable operators say they will continue to increase the number of available hotspots, particularly in high-traffic locations such as parks, beaches, shopping areas, malls, cafes, restaurants, and sporting and concert arenas. Wireless carriers are increasingly relying on Wi-Fi technology to help offload traffic from their oversubscribed networks, particularly in crowded areas. 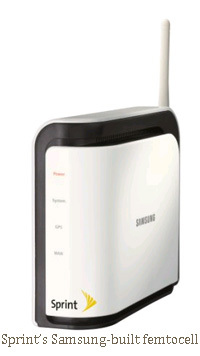 But new "femtocell" technology may give carriers an edge on their rivals. Though many carriers are aggressively deploying Wi-Fi hotspots on their own, cable companies would like a piece of the action. AT&T and Verizon Wireless already offer something similar. AT&T has for years given its smartphone customers free access to AT&T-run Wi-Fi hotspots. AT&T owns more than 20,000 of them in the United States, many of which are located in Starbucks coffee shops and the like. AT&T also has a huge number of hotspots operating in the Times Square and theater district of Manhattan. It put this Wi-Fi network up years ago in part to help reduce the capacity crunch on its cellular network in that area. AT&T has made it seamless for smartphone subscribers to connect to Wi-Fi. As long as they are using an AT&T device, it automatically authenticates with the available AT&T Wi-Fi hotspot. A new standard called "Passpoint" coming this summer from the Wi-Fi Alliance governing body will allow carriers to automatically switch customers to their Wi-Fi hotspots in crowded areas, without requiring any authentication from the user. That kind of seamless transition will make Wi-Fi a much more appealing option than it is currently for cellular customers. How will it work? Subscribers will use their log-in credentials for their service provider through a new website called "CableWiFi.com." The credentials will allow them to gain access to the Wi-Fi hotspots run by their own provider, as well as those operated by the other four providers. 55% of US Wi-Fi hotspots are now free as compared to 25% around the World. 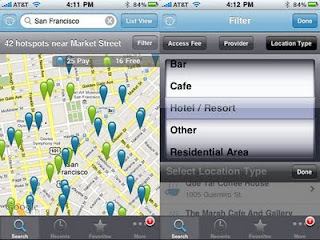 JiWire manages 450,000 hotspot locations in its database compared to Boingo which has 325,000 Worldwide location. San Francisco based mobile WiFi hotspot aggregator JiWire has raised USD 20 million in series C funding and has now raised a total of $45M to help consumers use these locations. JiWire provides a database and mobile applications for users to easily find and connect to wireless broadband connections for free. JiWire areas of growth include broadening its investment in advertising technology & additional M&A opportunities from someone potentially like Google. The growth capital will be used to expand JiWire's leadership in location-based advertising and to expand on the growing popularity of ad supported WiFi hotspots. Free nobile WiFi hotspot growth is growing 5X faster than cell phone towers and could disrupt AT&T & Verizon's 4G business models some day soon. JiWire has 145,000 free wifi hotspots in the database and claims to reach an audience of 52M people across 4,000 cities, 9,000 hotels, 8,500 cafes, 205 airports and 3,000 other locations. As mobile phone users start using iPads vs iPhones more data subscriptions become less meaningful and WiFi becomes more important. The JiWire find WiFi app is also available on Android as well. Deadcellzones.com plans to the effort of WiFi becoming a ubiquitous form of free data communication unlike cellular which still has millions of dead zones and areas where connectivity is impossible. Building out ad supported WiFi hotspots are starting to make more economical sense than cell phone towers in most cases. It was great to see Boingo go public last week and we are shareholders. However, Boingo subscription based business model might be challenged by a company like JiWire if they were able to get together with Google. Sprint (NYSE:S) now counts 600,000 femtocells on its network in 2012 according to this Fierce Wireless article. This is a big jump from the 250,000 femtocells Sprint said it had deployed as of March of 2011. Sprint also it plans to update its Airave femtocell product to support CDMA services over its 800 MHz network and to enable the products to better work together to coordinate coverage. The updates would be available sometime in 2012. What is a Sprint femtocell and how much does it cost? Femtocells are essentially mini cellular base stations that users can install in their house or workplace for voice and data coverage, and can route the resulting cellular traffic through a standard wireline Internet connection. The device made by Samsung costs around $99.99 and carriers a $5 monthly fee. What does the growth of femtocell usage say about carrier macro networks and WiFi alternatives? It says that carrier macro networks are still very congested and that most people are still using their cell phone and smart phones to access data at home and in the office. 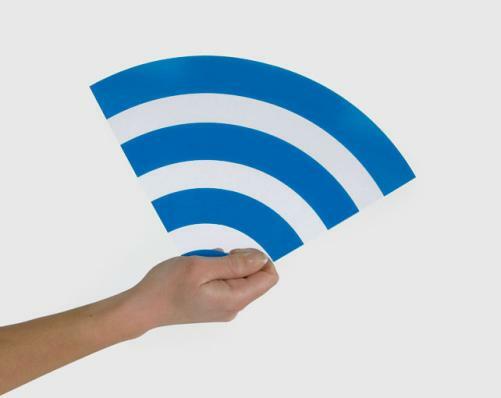 Will consumers finally learn to use WiFi whenever possible? T-Mobile allows customers to make WiFi phone calls and it works great. A MetroPCS (NYSE: PCS) and T-Mobile USA owned by Deutsche Telekom (NYSE: DTEGY) merger makes a lot of sense for the following reasons. Here are 10 reasons this would be good for consumers. Keep the integrity of a discount carrier intact. MetroPCS has LTE spectrum that T-Mobile USA could use. T-Mobile & MetroPCS have dead zone coverage gaps both can fill. Consumer friendly unlimited data plans would likely continue at both companies. Fewer competing customers on a network = less data congestion. Consumers might have the option of using a GSM or CDMA 3G phones. T-Mobile HSPA+ 4G is very fast and the network is not congested. MetroPCS 4G LTE is very fast and the network is not congested. MetroPCS has been very aggressive using femtocell and DAS to improve coverage. Deutsche Telekom is considering a stock swap transaction. However, I would support raising more capital in a T-Mobile USA IPO after the acquisition. MetroPCS shares jumped almost 30% instantly on the deal and currently has a market capitalization of around $3 billion. MetroPCS seems to have plenty of cash in the bank of $2B and has annual revenue of approximately $5B. So the combination would appear to be a strategy combining entities to have more scale for handset purchasing and spectrum allocation. Considering the closest competitor is AT&T and Verizon who each have 90 to 100M+ subscribers. MetroPCS has began deploying their LTE network before Verizon. MetroPCS is currently built around a CDMA 3G voice network and would be incompatible with T-Mobile’s GSM/HSPA network. However, in the future T-Mobile could use MetroPCS's LTE channels. Reuters reported in an article "MetroPCS and T-Mobile are not a good technological or customer fit, one analyst said". MetroPCS is a CDMA carrier in 3G and T-Mobile is a GSM carrier. 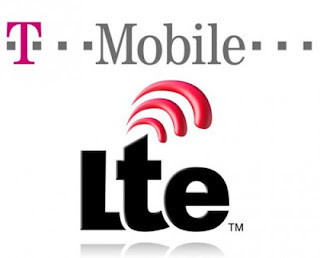 However, LTE is LTE and new handsets should be cross carrier compatible if the industry does the consumers right. A combination of Leap Wireless 7M subscribers also makes sense in the future but right now LTE spectrum is more important to T-Mobile I would bet. What is Phone Bill Cramming? Phone Bill "Cramming" is the placement of unauthorized or misleading charges on phone bills. Ever wonder what those strange charges are on your home phone or cell phone bill? Crammers use confusing telephone bills in an attempt to trick consumers into paying for services they did not authorize or receive, or that cost more than the consumer was led to believe. One company Billing Services Group makes a living by scamming customers like you and me. They charge you for "enhanced services," which may include the following: collect calls, voicemail services, streaming video service, identity theft protection services, directory assistance and one job skills training services. Billing Services Group (Ticker: BILL) placed charges on nearly 1.2 million telephone lines on behalf of a serial phone crammer. The charges were supposedly for "enhanced services," such as voicemail and streaming video, that consumers never authorized or even knew about. The Federal Trade Commission is seeking a civil contempt ruling against the nation's largest third-party billing company, alleging that Billing Services Group (BSG) placed more than $70 million in bogus "cramming" charges on consumers' phone bills. Do I recognize all the charges listed on my bill? What services did the charges provide? Does my phone bill include charges for calls I did not place or services I did not authorize? Are the rates and line items consistent my quoted price? Please comment below if you have any other evidence of carriers colluding and experience about getting refunds. A Decade Behind Africa in Mobile Payments? $96 billion credit card company Visa (NYSE: V) should be embarrassed that it is finally giving U.S. consumers a method for making mobile payments. You have to ask why is a third World continent of Africa 5 to 10 years ahead of the United States which is the technology leader of the World? Is this about monopolies Visa, Master Card (NYSE: MA) and American Express (NYSE: AXP) colluding to protection their turf? Is this about carriers colluding with credit card companies to prevent competition? These massive companies undoubtedly fear competition stealing their market share and would rather keep the business environment exactly the same in order to protect their merchant relationships. A company like PayPal owned by (Nasdaq: EBAY) could soon become a formidable competitor to Visa, Master Card and American express. Another company Square is also a disruptive player who could disrupt the competition. However, wireless carriers, banks and the Government need to get out of the way and pave the way for smartphone users to make transactions on their phones. In fact, there should be thousands of mobile payment infrastructure companies including companies like Google, Apple & Microsoft. NFC (Near Field Communication) is a secure mobile standard that carriers have finally agreed upon and allows a secure payment to flow from a phone to a credit card payment terminal. This payment is secure in and encrypted. Its not just about displacing payments from a plastic card to a phone. NFC makes it easier to review credit card account information in real time. It allows you to understand your balance and credit available. Every transaction will be encrypted with a password so if someone steals your phone they will need to know your password in order to perform a transaction. For Example: M-PESA developed by Vodafone 10 years ago launched commercially 5 years ago by the company’s Kenyan affiliate Safaricom. 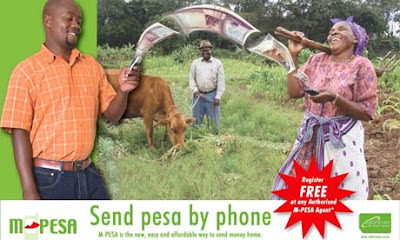 M-PESA mobile payments (transactions capped at $500) electronic payment and store of value system accessible from ordinary mobile phones. Once customers have an M-PESA account, they can use their phones to transfer funds to both M-PESA users and non-users, pay bills, and purchase mobile airtime credit for a small, flat, per-transaction fee. The affordability of the service has been key in opening the door to formal financial services for Kenya’s poor.